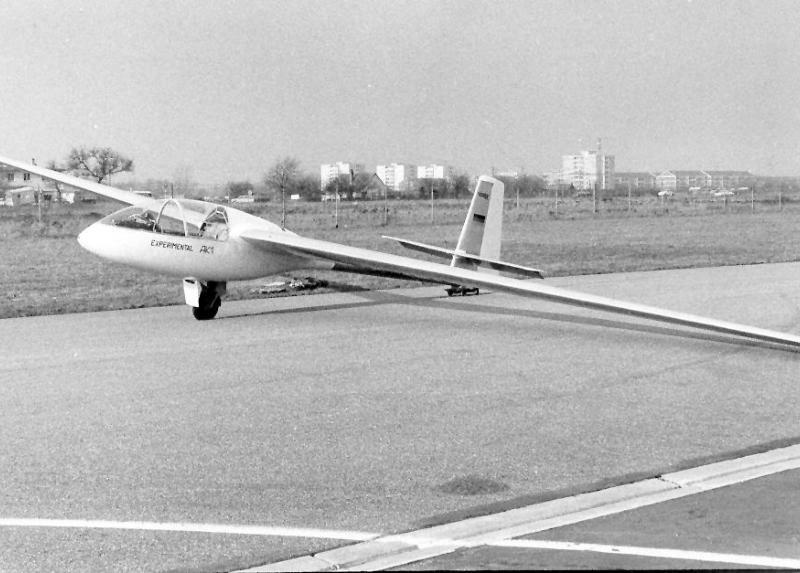 Greif 2 (FK2) 1962 / Otto Funk In addition to working fulltime as director of the apprentice- training department in the Heinkel plant in Speyer, Otto Funk also devoted himself to the development of innovative gliders and technologies. 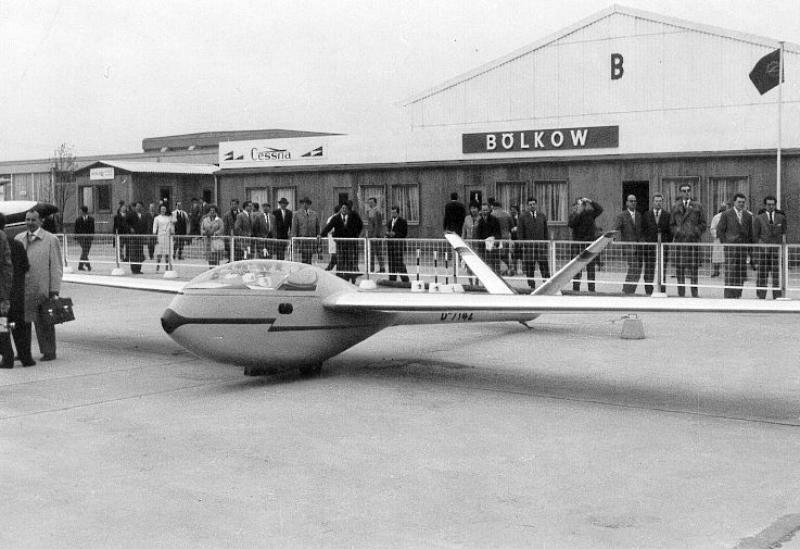 The result was the Greif 2, a further development on the Greif 1, and built in the Heinkel apprentice training shop in 1962. 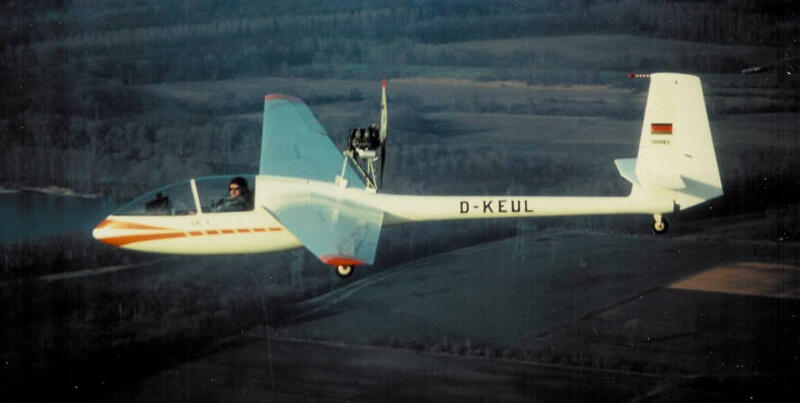 It was in the year 1959 that Otto Funk, a student at the time, began work with the Heinkel Company in Speyer, where he designed the all-metal Greif 1a glider. At this stage already, Funk had begun to use a method of construction entirely new to this industry, namely metal-bonding construction. Since then, this technique has been further developed and remains to this day one of the special design features of FK aircraft. 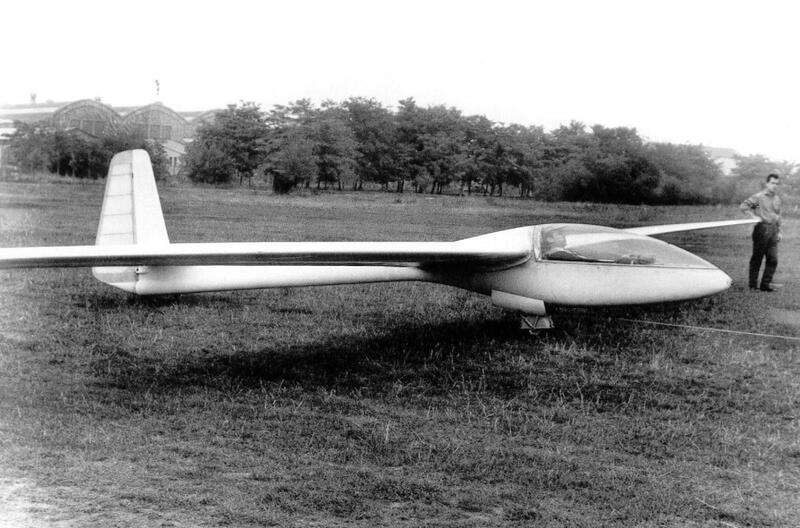 In 1960, for the very first time, a turbo-jet engine was fitted in a glider; the Greif 1b was born. 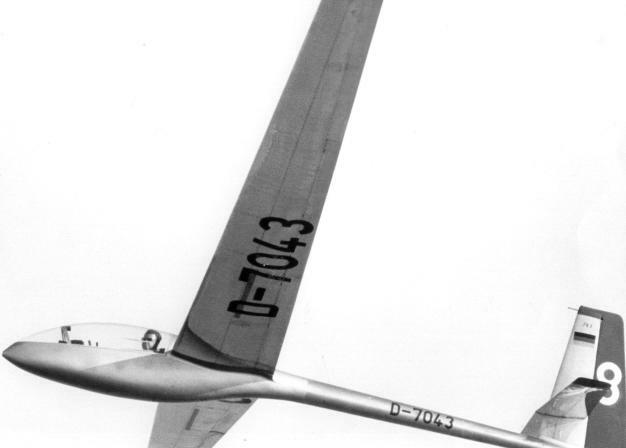 This high-performance glider is based on the wing of the "Zugvogel" sail-plane designed by Egon Scheibe and was therefore not assigned its own FK type number. 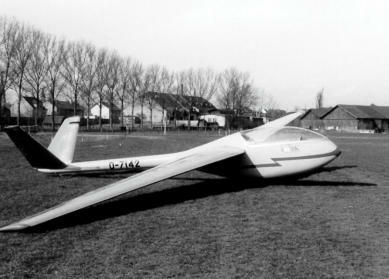 This machine was especially designed by Otto Funk for the glider world championships in Argentina, although it ultimately did not participate in them. 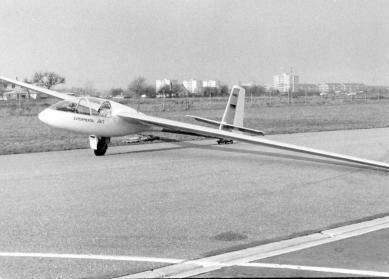 The third design named FK 3 first took flight in April 1968 in Speyer. 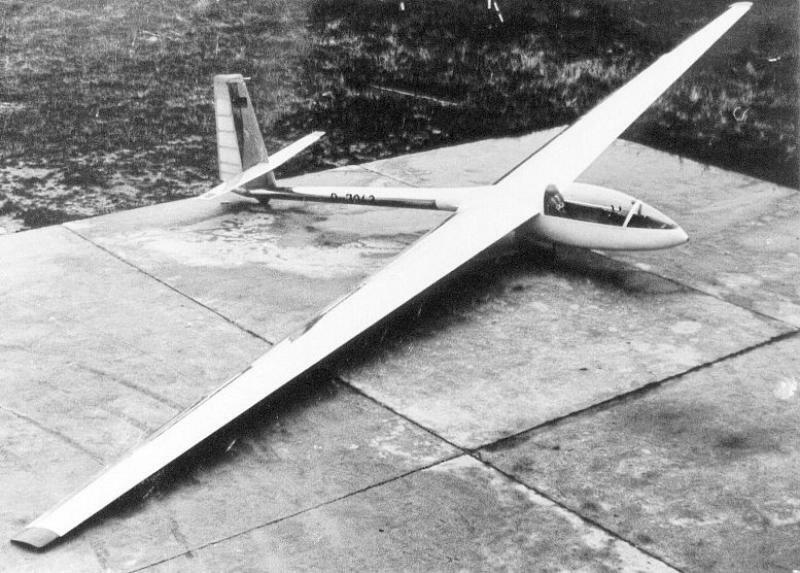 This open class glider already sported laminar profile wings with cruise flaps. It too was built entirely of metal and, with a wingspan of nearly 18m, was a peak performer in comparison to the wooden aircraft of that time. 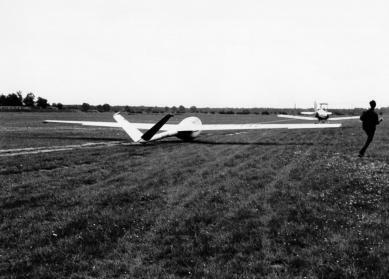 The high aspect ratio wings and the modern tapered fuselage were to leave their stamp on the design of modern gliders up to the very present. Due to the widespread success this aircraft enjoyed on its appearance at diverse championships, it was decided to put a small series of eleven machines into production on the former premises of the VFW-Fokker plants in Speyer. 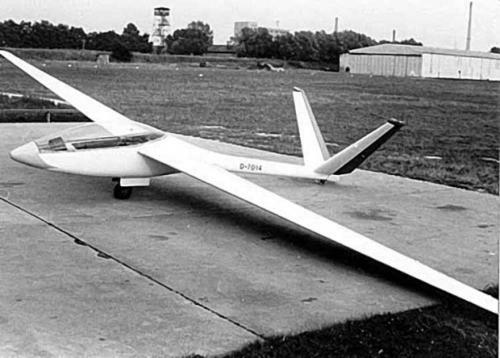 The FK 3 airframe served as the basis for the development of the motorized glider Sirius 1 in 1970, an outstanding aircraft if only on account of its integrated propeller fan. 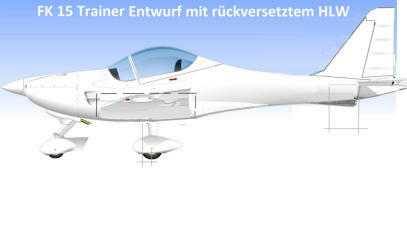 The Sirius concept was developed further by the Rheinflugzeugbau Company and resulted in the lightweight military trainer "Fantrainer". 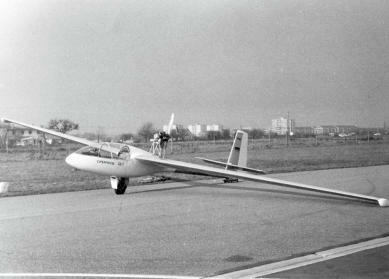 It was also in the year of 1970 that Otto Funk engineered the first high performance glider with a retractable engine. 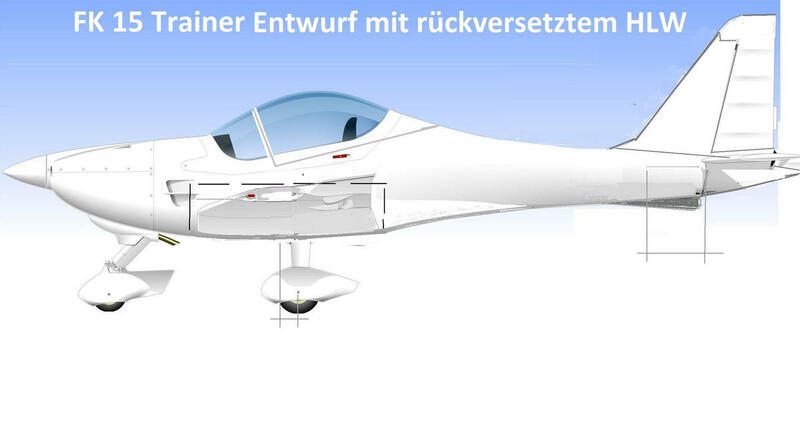 This machine was built by the Academic Aviation Group of the University of Karlsruhe under the name of AK1. In order to optimize the 18m concept of the FK3 to the usual 15m wingspan most common in those times for racing class gliders, work began on the construction of the FK5 in1979 in the apprentice-training workshop of the VFW in Speyer. For company-specific reasons, however, construction of the prototype, although 80% complete, was discontinued. 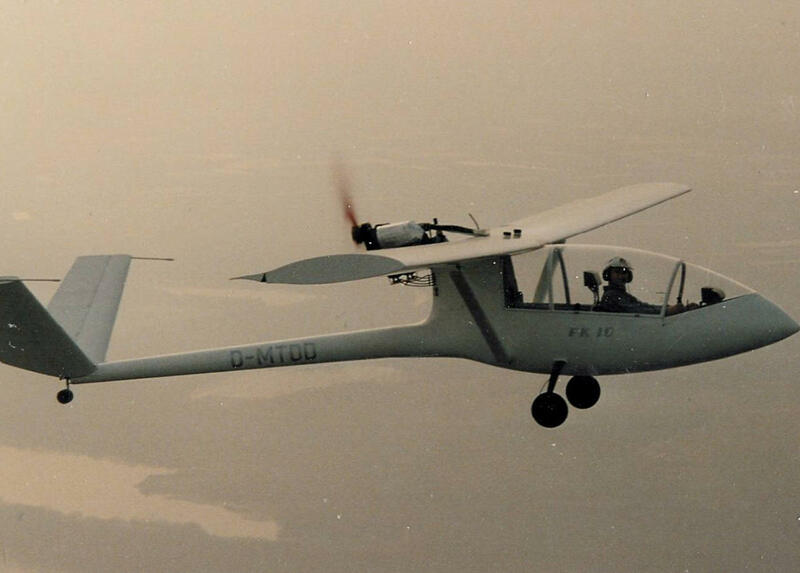 In 1984 Otto Funk first began to occupy himself with the ultra-light aircraft that were beginning to make an appearance at this time. 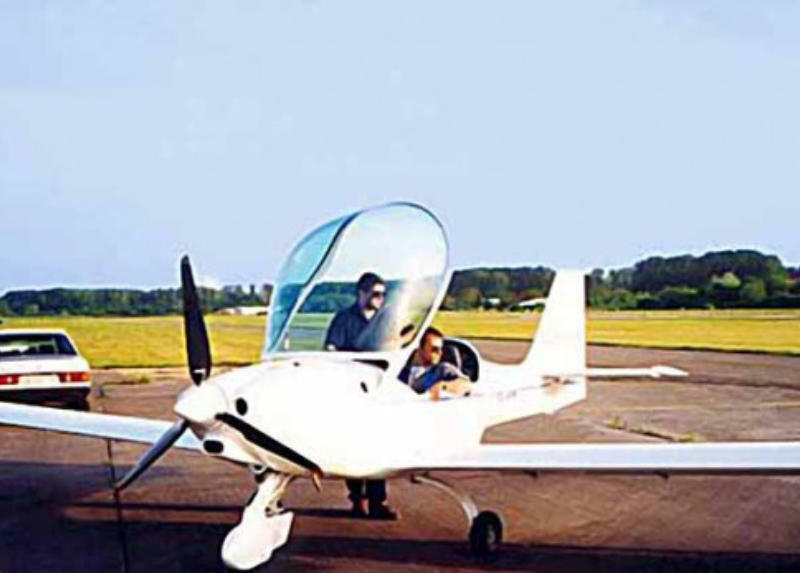 The extreme weight limits meant that only the simplest of single-seaters or motorized microlight craft could be classified in this category. The FK6 was an attempt to build a lightweight construction using the newest technology for the design of a typically conventional aircraft that would nevertheless comply with the requirements of this weight class. FK6 lived up to this task most successfully, a fact that was repeatedly demonstrated in international comparison. For several years, this ultralight plane remained unique in its class due to its state-of–the–art design in regard to technology and flight performance! Three prototypes of this plane were built. It was in this year too, that Peter Funk, Otto Funk's son, first came into contact with light aircraft construction. 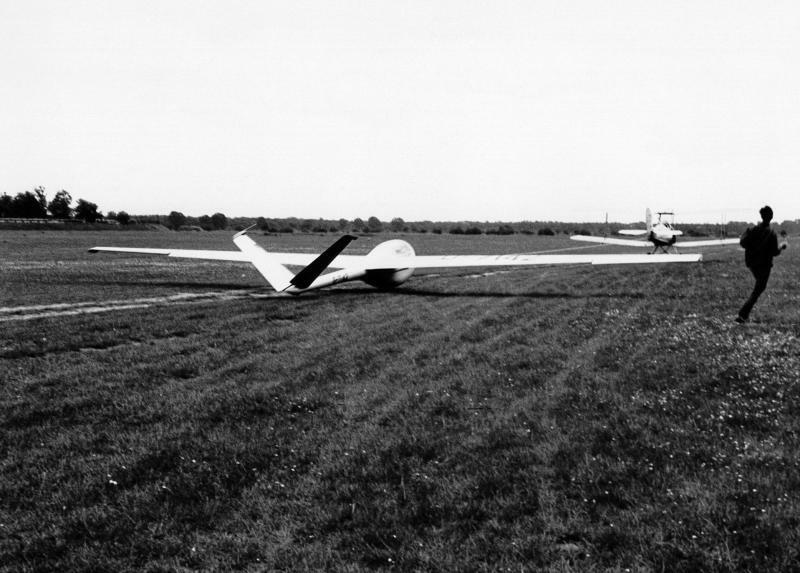 Formerly a glider pilot himself, he was able to make a considerable contribution to the design and test flights of the FK6. On the basis of the FK6 project, Otto Funk drafted the blueprints for two more ultra-light airplanes with plans for having the prototypes built in the apprentice-training workshop, although this ultimately did not come to pass. The first purely commercial design of the Funk family was the FK9 completed as a father-son project in 1989. Otto Funk delivered the wing concept, incorporating the control system from the FK8, as well as the statics, while Peter Funk added the double-seated fuselage and built the first FK9 Mk 1 prototype in his garage. 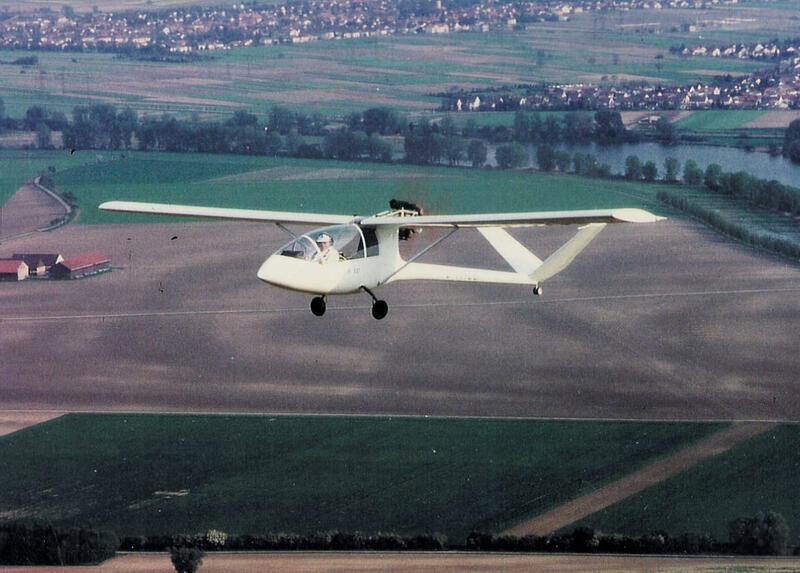 This machine appeared in April 1989 at the AERO trade fair in Friedrichshafen and was one of the very first ultra-light planes with a completely closed cabin. In 1990, Peter Funk founded the company of "B&F Technik" together with his partner Dirk Breitkreuz and, in the following year, began production of the first small series of the FK9. About forty of these planes were built until the end of 1994. As both the company owners were still students, it was not possible to expand and continue serial production at this time. In contrast to the first FK9, the Mk2 version was redesigned so that engines with 45 – 80 PS could be used in them. 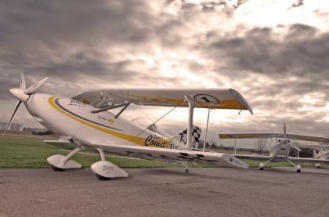 The planes are available in nose or tail wheel versions. 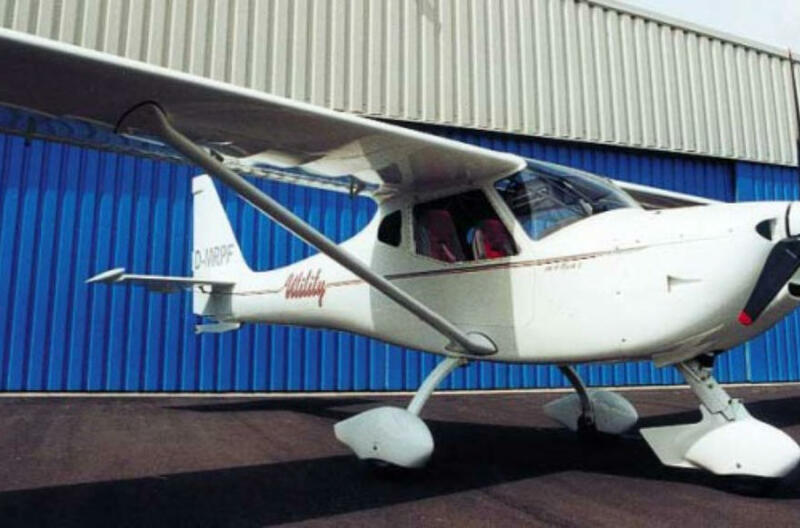 The FK9 Mk2 has been produced since 1995 instead of the Mk1 version; by the beginning of the year 2000, approximately 50 planes had been built. The double-seated version of FK6 was produced as the FK10 prototype in 1994 in the trainee workshop of the MBB Company in Speyer. To achieve higher cruising speeds and still offer greater flight comfort, the Mk2 model was further developed to produce a plane made entirely of composites, the FK9 Mark 3, at the end of 1996. Although this machine still featured many of the Mk2 characteristics, the differences were nevertheless so significant that parallel production of both types proved necessary. 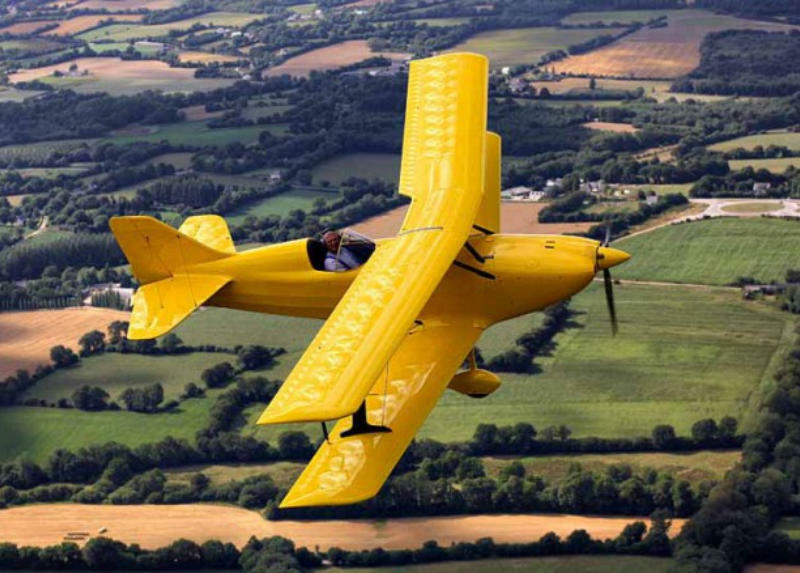 Approximately 130 of these planes were produced by the beginning of the year 2002. These models are not only available on the European market but can now also be found in South America and in many more countries around the world in form of the Mk3-B design. The most unusual concept masterminded by O. Funk has been by far the FK 11 project. An automobile engine was used for the integrated middle motor to drive two propellers mounted on the sides of the fuselage. This airplane was intended to optimize the efficiency of propeller aircraft, as it made it possible to achieve astonishing flight performance with even the lowest engine power. 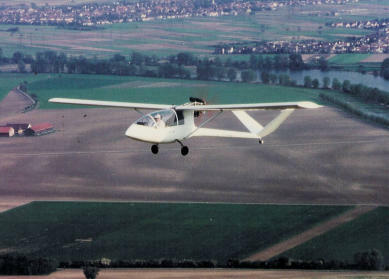 June1997 saw the maiden flight of the FK 11 prototype which has since then been continuously developed, optimized and tested. Serial production has been considered, but not started. Designed specifically for professional duty, such as aerotowing, flight training, load transport from short runways and for swimmer jobs, the FK9 Utility model is a further development of the Mk3 cell. This version incorporates the fuselage and horizontal stabilizer of the Mk3, but has newly-designed wings and a higher payload factor. Peter Funk can be counted among the many pilots who have a soft-spot for biplanes. This made him turn his hand to the design of a lightweight biplane in 1994. His intention was to build not only a plane preserving the classical style but that would also provide good flight performance and be easily and comfortably folded up for hangarage. It was also one of his wishes to be able to fly a closed machine in Winter. These criteria lead to the construction of the Comet, which went into production at the end of 1997 and today is one of the most widely sold biplanes in Europe! 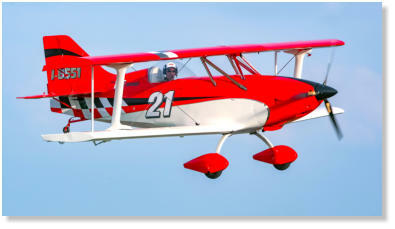 It is also most likely the only biplane in the world that has a laminar profile and it is most certainly the fastest of its kind. The construction of the Polaris began in 1998 with the goal of rounding off the B&F range of products with a high-performance cruiser. 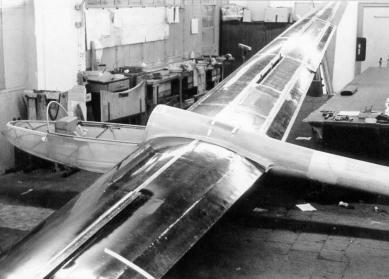 The main wing structure with its special Fowler flap system was developed by Otto Funk in cooperation the University of Stuttgart using its laminar wind tunnel. The rest of the air frame was designed by Peter Funk, whereby standard parts of the FK9 Mk3 were used as far as possible. As a result, for example, the entire tail unit including the horizontal stabilizer is identical on both planes. 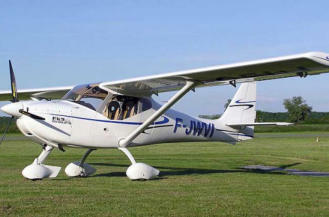 The characteristic features of the FK airplane series are consistently found in all the models up to and including the Polaris. These features include, for instance, the crash-resilient tubular steel frame cockpit section or the metal-bonded wing paneling! 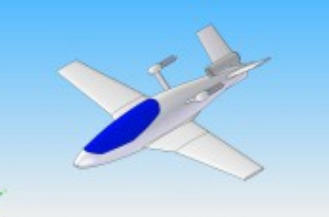 2005 a new fuselage version was designed, featuring a simplifeid integral composite structure and improved areodynamics. 2009 a new version of the Comet was designed. 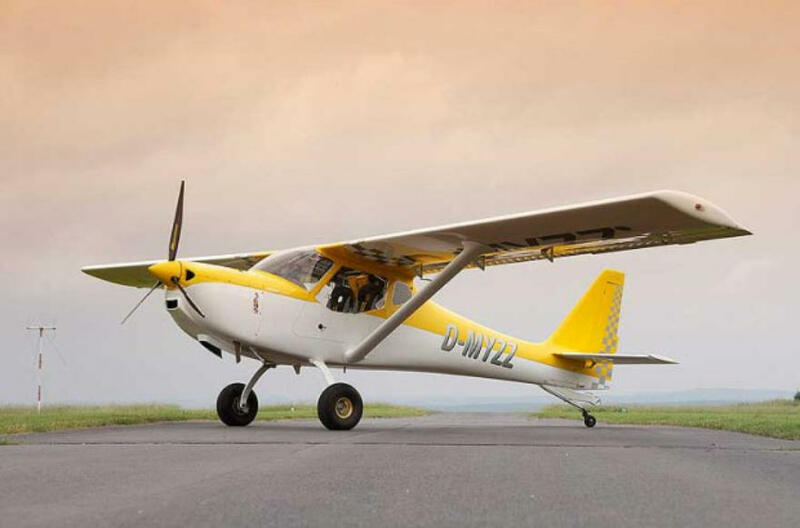 It features a stretched fuselage, new wing with improved roll rate, increased horizontal and vertical tail and a wider and higher landing gear. The aiframe was designed and tested according to acrobatic regulations. The modifications improved pretty much the capabilities to fly acrobatics but in same moment the plane become more easy to fly during take off and landing. The ELA is an Evolution of the FK9 Mark IV, targeting more on private pilots looking for more endurance, comfort, luggage space and other details to allow comfortable long and fast cruise flights. The Le Mans version is the "roadster" conversion of the FK14 Polaris taildragger. The Le Mans canopy cover can be exchanged within a few minutes to fly the plane with enclosed cockpit. 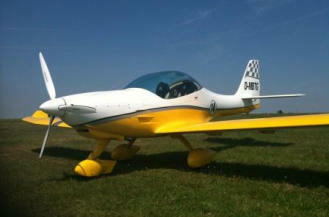 The FK15 is a developing project for a trainer based on the popular FK14. It's more easy to handle, while it keeps the comfort and the reliability of the the FK14. It's also cheaper to produce and so it costs less money over all. 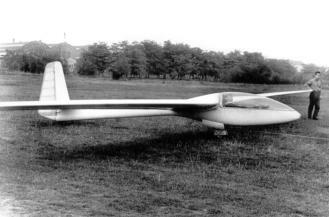 The FK16 was a research and development project for a hybrid airplane. 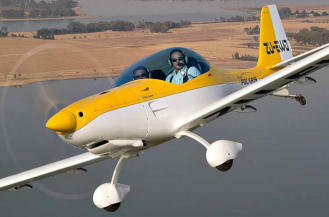 It uses electric motors for take off and landing and a small jet engine for cruise flight. The result should have been an highly innovative plane with low noise emissions while keeping the performance of a normal airplane. The project was launched in 2010 in partnership with ISB- Mainz during a technology innovation program. 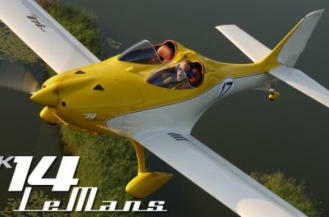 The BF 139 Clubman is a high-wing retro-style two-seater aircraft with a composite airframe. The design complies with the requirements according the LTF-UL regulation as well as ASTM2245. It is designed to poerate from small airstrips whilst also showing good cruise performance.